"USA Powerlifting is not a fit for every athlete and for every medical condition or situation." USA Powerlifting has issued a total ban on male to transgender athletes that wish to compete in female divisions. JayCee Cooper is Minneapolis powerlifter and a male-to-female transgender who recently won a women’s powerlifting state championship. The first has to do with the use of testosterone or other androgens, commonly used to assist in transition from female to male. By virtue of the anabolic nature of these compounds, they are not allowed, nor is a Therapeutic Use Exemption granted for such use for anyone. This applies to any and all medical conditions which might be treated through use of androgens. While other sports and activities, and other powerlifting organizations may choose a different interpretation of the impact on their respective competitive activities, USA Powerlifting will continue to follow the policies as defined by the IPF Medical Committee. If, or when the membership of USA Powerlifting, through the processes of governance as defined in the Constitution and Bylaws of our Federation, chooses to address these policies, their interpretation and adherence to them may change. 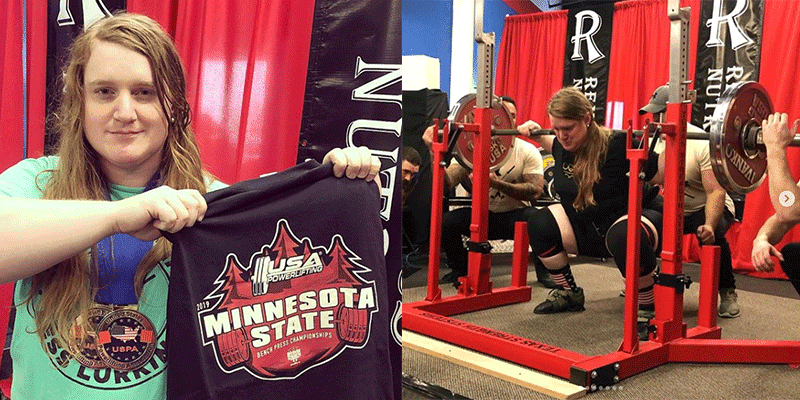 Q – Why is USA Powerlifting not following the IPF Constitution on Transgender Athletes? A – The IPF Constitution to adopt the IOC Guidelines on Transgender Athletes is just that, an acknowledgement that the IPF recognizes the IOC Guidelines. When reading the IOC Guidelines, you must read it in it’s entirety, most disregard section 1 and jump to section 2. Within those IOC Guidelines, each sport is given the latitude to determine how the guidelines are applied. The IOC Guidelines is not a blanket approval over all sports. The IPF Medical Committee has set the policy for transgender athletes which USA Powerlifting abides by. Q – Why did you ban transgender athletes? A – USA Powerlifting has not ban transgender athletes. There are rules surrounding requirements for membership as with any organization. Policy is set for the most fundamental of all of the rules, drug testing and secondly fairness in competition. Q – Why are you discriminatory towards transgender athletes? A – While the term discrimination is used to catch the attention of the public, it is most often misused. We are a sports organization with rules and policies. They apply to everyone to provide a level playing field. We have restriction such as age eligibility, who can compete as at our national events and so on. No, you are not discriminated against because you are a 40-year-old college student that is not allowed to compete at Collegiate Nationals. No, we are not discriminating against your 7-year-old daughter by not letting her compete. It is simply the rules of this sport that all must be follow if we are to be fair playing field. Another example, males are not allowed to use testosterone and to do so provides him an advantage. A master aged male cannot raise his natural testosterone level. Physicians frequently prescribe levels of androgens that are consistent with much younger men than the age of the patient. USA Powerlifting is not discriminating against master lifters who use testosterone for medical reasons. They may just not compete on our platform based on the drug testing policy. Q – Why do you not allow transgender women? A – The IOC sports are a wide in spectrum. Take sports such as curling, equestrian, shooting and archery, these sports are more sport of skill, whereas powerlifting is a sport of strength. Men naturally have a larger bone structure, higher bone density, stronger connective tissue and higher muscle density than women. These traits, even with reduced levels of testosterone do not go away. While MTF may be weaker and less muscle than they once were, the biological benefits given them at birth still remain over than of a female. Q – Why do you not allow transgender men? A – We do allow transgender men. What is prohibited in USA Powerlifting is the use of external androgens in this organization. This is the same rule that applies to all members. We have many older male lifters for example who require through their doctor to take hormone therapy(HRT). We respect their need to follow their doctors advice, but with that said, they are no longer eligible to be compete within USA Powerlifting. Q – Why does the IOC Guidelines and WADA allow testosterone and USA Powerlifting does not? A – One must remember that both the IOC and WADA are written to apply to all sports. Within each sport, it is to be determined what is appropriate for sport. Powerlifting is a strength sport. Androgens, such as testosterone is a strength inducing substance, which would aid in the performance within this specific sport. Therefore, not allowed for any powerlifting athlete, no matter what their medical needs are. Q – I am a female and do not care if I compete against a transgender female, so why is it not allowed? A – While we find it commendable that you feel this way, we must also look at the fairness in competition for the majority of our female members. Q – Why don’t you just have another division for transgender athletes to compete in?